Laura Brick is director, partners, at Igloo Software. Igloo Software is a SaaS company that provides digital workplace solutions that drive the employee experience. 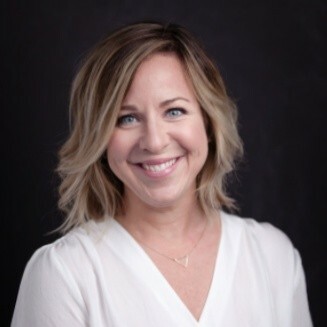 Laura Brick is responsible for the global partner go-to-market strategy and operations including channel, service, technology and strategic partners, as well as innovation and execution of programs to grow Igloo’s partner ecosystem. She has over 15 years of experience in strategic marketing and global alliances in Canada’s technology industry. CDN recently spoke with Brick. CDN: What does your current position at Igloo entail? Brick: I lead overall strategy and planning of Igloo’s partner ecosystem. Partners as a formal organization here at Igloo is only a few years old, so I have been focused on building the organization and associated programs. A key aspect of this has been integrating partners into operational areas across the entire organization. We focus on four key types of partners: channel, service, strategic, and developer. CDN: What has led you to where you currently are in your career? Brick: I have a long history in tech, and landed there almost immediately after completing a business degree at university. I grew up in Calgary so it was no surprise I ended up in oil and gas with two different technology companies. After moving to Ontario, I joined the product marketing team at a local Kitchener-Waterloo region company, D2L, which produces a learning management system. While there I had the opportunity to move to the partner team as we were looking at building out our version of an app store. Extensibility was a part of my product marketing portfolio, but I loved the idea of creating a new revenue channel so I made the move. This sort of shifted my career direction — partnerships were new and exciting for me. CDN: What was your first role in a channel organization? Brick: It was clear to me at D2L that there was a big opportunity to utilize partners as a core strategy. I saw this as a challenge, and it really energized me because I could see the difference that I, as an individual, and members of my small but mighty team were making on a daily basis. The turnaround that we effected in that organization, and the successes we had, got me incredibly excited about partnerships as a whole. And so, when the opportunity came to move on to Igloo and be part of building an extended partner ecosystem from the ground up, I couldn’t pass it up. It was an opportunity to utilize my experience with ISVs and strategic alliances, but also to expand into channel and developer partnerships. CDN: What should someone be doing in order to one day become a channel chief? Brick: I’ve had a couple of conversations lately with some young up-and-comers who have found themselves sort of inadvertently in partner roles. And I told them “Hey, you’re in a really lucky spot.” There aren’t a lot of people with deep partnership or channel expertise or knowledge. And because the opportunity for partnerships and the channel itself is growing — especially as SaaS providers are changing the channel landscape — you’re at a point in time when the opportunity is huge. Seize it. Right now there’s a window of opportunity to build out a specialized skill set that is not yet diluted in the job market. If you are just starting out, or looking to switch things up, seek roles in partner organizations. I guarantee you will get a 360-degree education of your entire business just by the nature of how integrated partners must be across all key functions. CDN: What do you see as being the biggest cloud trend out there right now? Brick: Despite the cloud still really being in its early days, cloud services are multiplying exponentially. We will continue to see a proliferation of cloud-based solutions as cloud adoption continues to rise. Competition for market share will increase and these cloud solutions will be seeking new and innovative ways to gain market distribution. This is yet another reason why a career in the channel will continue to grow in importance. Brick: I cannot stress enough the importance of connecting with channel leaders for peer-to-peer learning and collaboration, no matter what stage of your career you’re at. Joining an organization like the Canadian Channel Chiefs Council, or C4, is one of the best possible ways to connect yourself with both seasoned professionals and peers who are at a similar stage of their career to you. My experience with the C4 has been incredible.